Listen Where's the diversity in sci-fi and fantasy literature? There is a tradition of sci-fi and fantasy books getting the short end of the critical stick. The genres have been dismissed as niche, or nerdy, or immature. They're tucked on different shelves at libraries and bookstores, kept separate from more "literary" fiction. But there are some changes afoot. Sci-fi and fantasy books continue to top bestseller lists, gaining critical respect and a wider audience base. Think of "The Martian," "Station Eleven" and "The Three Body Problem." Authors working in the genres have been trampling expectations, and readers have been devouring the new ideas. Anyone who thinks it's all spaceships and dragons hasn't been paying attention. And as authors have been breaking down subject matter stereotypes, they've also been breaking down stereotypes of race and gender. "The real strongholds of fantasy and science fiction are stereotypically very white and old," said Zen Cho, author of "Sorcerer to the Crown." And while there have been several iconic women authors, the field has largely been dominated by men. LGBTQ authors and characters have been a rarity. But Cho she sees the industry changing, thanks to authors and readers alike. "It's both of them saying: 'We want to be heard' or 'we want to hear new voices.'" Cho and Andre Carrington, a professor at Drexel University and the author of "Speculative Blackness: The Future of Race in Science Fiction," joined MPR News host Kerri Miller to discuss diversity in sci-fi and fantasy, and the changes they see happening. "Science fiction especially has always been such a political genre," Cho said. "It's not just about science, it's about ideas, and it includes things like how we should live, how we should govern ourselves, what's the future of the human race — and those are inevitably political ideas. Authors express their opinions one way or another through their fiction." Carrington echoed the idea that fantasy and sci-fi can be important lenses through which to view the present — and the past. He recommended Olivia Butler's "Kindred," a groundbreaking time-travel book that addresses with the history of slavery in the U.S.
For the full discussion with Zen Cho and Andre Carrington, use the audio player above. 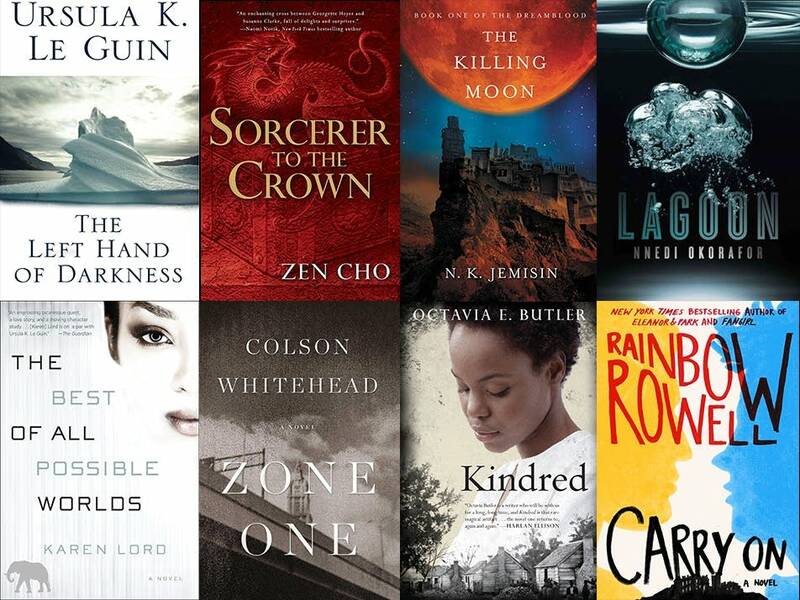 For readers looking for more sci-fi and fantasy by women and people of color, Cho, Carrington and the audience offered these recommendations.